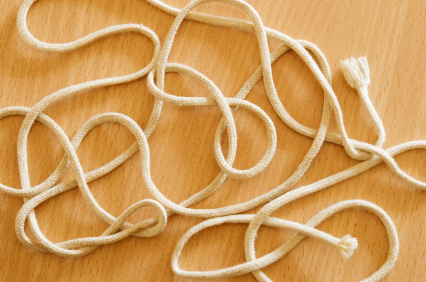 You will need a loop of string for this activity and three other friends. Stretch the string out so that each of you is holding a corner to make a quadrilateral. Try to make one which has exactly one line of symmetry. How could you convince someone else that your shape has just one line of symmetry? Can you make any other quadrilaterals with just one line of symmetry? Try again, but this time answer the same questions for a quadrilateral with exactly two lines of symmetry. Try again, but this time answer the same questions for a quadrilateral with exactly three lines of symmetry. Try again, but this time answer the same questions for a quadrilateral with exactly four lines of symmetry. Tangram. Practical Activity. Compound transformations. Interactivities. Quadrilaterals. Visualising. PrimaryCollaborative. Cubes & cuboids. Symmetry. Working systematically.